Two exciting seminars were organized in February 2008, entitled “Law and the Community” and “Law and the Public Interest”. The format of the seminar is an interactive presentation of approximately 15 to 20 minutes by each guest speaker, followed by a question-and-answer session. 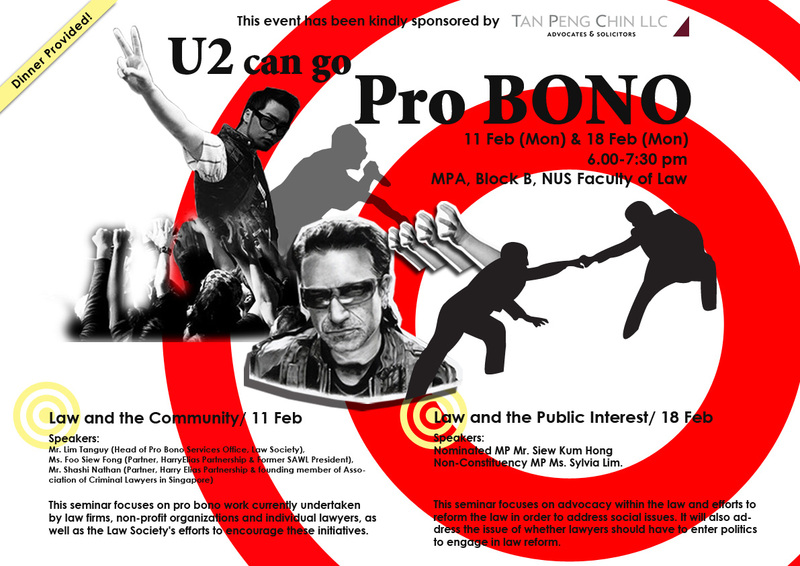 This seminar focused on pro bono work that is currently undertaken by law firms and individual lawyers, and how it contributes to the local community in tangible terms. 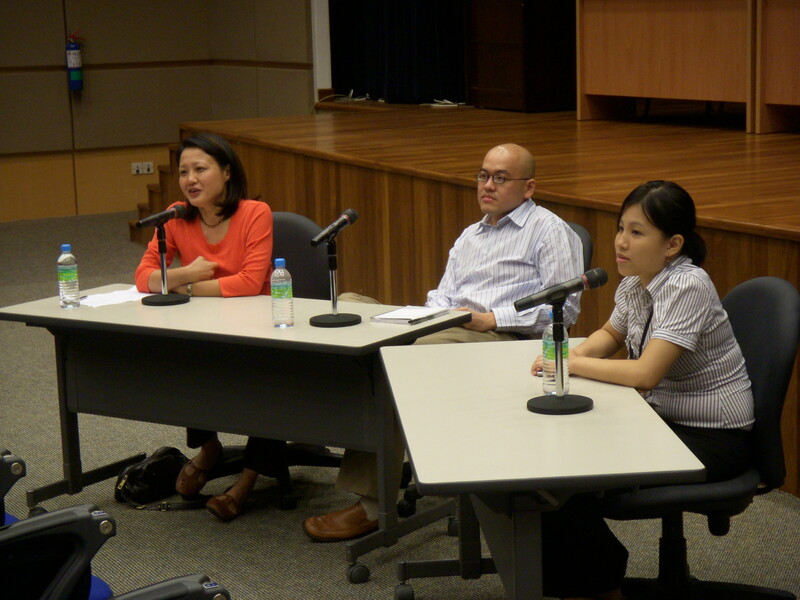 Themes discussed included the Law Society’s efforts in encouraging more lawyers to take up pro bono work, as well as what local law firms and non-profit organizations are currently doing to support the pro bono movement in Singapore. Lawyers often play integral roles in civil society and political discourse, spearheading various initiatives and efforts to address social issues through law reform. This seminar focuses on advocacy and law reform work undertaken by lawyers in the name of public interest. We hope to discuss the ongoing efforts to address social issues such as women’s rights and due process of the law in Singapore, as well as whether lawyers should have to enter politics to engage in law reform.